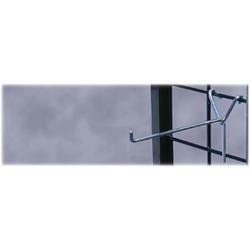 "Y" hook for gridwall allows you to display multiple small to medium items with ease. Y-backed formation presses into gridwall to maintain upright positioning for a professional look. "Y" shaped design holds onto gridwall securely. This product is available in four different sizes to suit your specific needs.